2014 Swaygo 575 EVR-1. Picture credits - Swaygo. Submit more pictures. 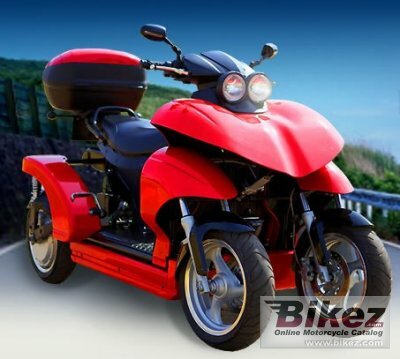 The Swaygo 575 EVR-1 is our latest electric four-wheeler designed for the commuter market. The Swaygo�s leaning system allows you tilt the vehicle as required. You are in control. This dynamic inter-active capability helps to keep you balanced at all times; when travelling at low or high speeds in differing road situations and conditions. Ask questions Join the 14 Swaygo 575 EVR-1 discussion group or the general Swaygo discussion group.